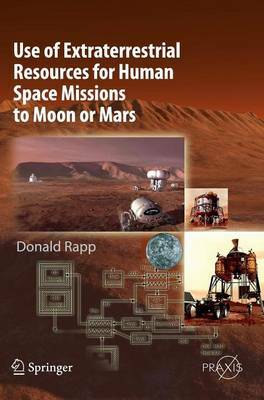 This book carries out approximate estimates of the costs of implementing ISRU on the Moon and Mars. It is found that no ISRU process on the Moon has much merit. ISRU on Mars can save a great deal of mass, but there is a significant cost in prospecting for resources and validating ISRU concepts. Mars ISRU might have merit, but not enough data are available to be certain. In addition, this book provides a detailed review of various ISRU technologies. This includes three approaches for Mars ISRU based on processing only the atmosphere: solid oxide electrolysis, reverse water gas shift reaction (RWGS), and absorbing water vapor directly from the atmosphere. It is not clear that any of these technologies are viable although the RWGS seems to have the best chance. An approach for combining hydrogen with the atmospheric resource is chemically very viable, but hydrogen is needed on Mars. This can be approached by bringing hydrogen from Earth or obtaining water from near-surface water deposits in the soil. Bringing hydrogen from Earth is problematic, so mining the regolith to obtain water seems to be the only way to go. This will require a sizable campaign to locate and validate useable water resources. Technologies for lunar ISRU are also reviewed, even though none of them provide significant benefits to near-term lunar missions. These include oxygen from lunar regolith, solar wind volatiles from regolith, and extraction of polar ice from permanently shaded craters.